The text of the Comprehensive and Progressive Agreement for Trans-Pacific Partnership (CPTPP) was published on Wednesday. Key changes to the text include the suspension (not removal) of 22 of more than 1,000 items in the earlier agreement. The suspensions mean that certain changes to New Zealand’s intellectual property law and New Zealand’s medicine-buying agency Pharmac no longer apply. The suspensions also narrow the scope of investor-state dispute settlement in the CPTPP and includes commitments to safeguard and enforce labour and environmental standards, while upholding the Treaty of Waitangi. However, under the current ISDS provisions, foreign investors from the other TPP countries could still claim their rights have been breached and bring an investment dispute if, for example, the Government revoked licences to bottle free water for export or imposed user charges, tightened licensing conditions for internet service providers, or significantly strengthened environmental regulation on mining, explains Professor Jane Kelsey. It is reported that Canada and the US are set to agree on withdrawing the controversial investor-state dispute settlement (ISDS) mechanism from the North American Free Trade Agreement (NAFTA). “The rationale for suspending, rather than removing, provisions from the TPPA was to make it easier for the US to re-join. Logically, [the signatories] should now drop the ISDS mechanism. Yet the core investor protections and the right to enforce them through controversial ISDS tribunals have not even been suspended in the TPPA-11. They remain fully intact, ” notes Professor Kelsey. Stressing that ‘time is of the essence, with signing of the TPPA-11 scheduled for 8 March’, Professor Kelsey has urged the government to immediately go back to the other parties and insist that ISDS is removed from the agreement before it is signed. The Ministry of Foreign Affairs and Trade has also released the National Interest Analysis of the CPTPP, which assesses the likely costs and benefits for New Zealand of entering into the Agreement. The National Interest Analysis is available online at https://www.mfat.govt.nz/cptpp. It will be updated next month with more details of side letters that will be signed along with the agreement. Public briefings and consultations on the CPTPP are on going throughout the country. There will also be a full select committee and parliamentary examination process. 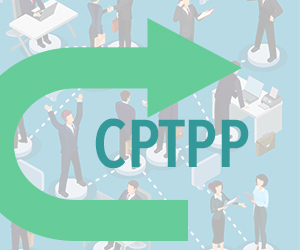 The CPTPP is scheduled to be signed in Santiago, Chile, on March 08. The 11 countries involved are New Zealand, Australia, Brunei Darussalam, Canada, Chile, Japan, Malaysia, Mexico, Peru, Singapore, and Viet Nam.